Cozy up with a cup of tea and some shortbread cookies! What do a handsome Latino man, a cute, perky blond chef, a murder, and a non-profit organization that supports orphans in Latin and South America named Rescate all have in common? Thyme for Love, of course. A wonderful lighthearted romantic mystery that will draw you in and keep you reading to the end. April Love, yes, that’s her name—stop singing, and Marc Thorne rediscover each other after a rocky break up. But more than love is waiting for April and Marc; a body is discovered that sends both of them into detective mode. Around cherry upside-down cake and Chicken George, the two taste the horrors of murder and the yumminess of love. Or is the murderer closer to April than the flour on her nose? Q: Give us a little preview of Thyme for Love. A: April Love has always dreamed of being a chef. When her Aunt Kitty hears of a in-house chef position for a non-profit organization housed in a lakeshore mansion next door, April returns to Canoga Lake, Wisconsin, where she’d spent many summers growing up, to apply for the job. When she discovers her former fiancé Marc Thorne working there, she wonders if this position was really God’s intention for her. After all, Marc all but left her standing at the altar to chase his own dreams in California. It doesn’t take long to realize Marc is hiding secrets and despite returning feelings for the man, April determines she will not make the same mistake as she did eight years earlier. But when their boss is found dead and Marc is framed for his murder, April has no choice but to turn sleuth to keep Marc from being accused of a murder he didn’t commit. A: I’ve always loved romance and mysteries, and decided to write a story that married the two elements together. I grew up in Lake Geneva, Wisconsin and have always been fascinated by the many 20th Century mansions that dot the lake’s shoreline. I toyed with the idea of setting the story in one of those homes, but decided to create a smaller lake and village just to the east of Lake Geneva to gain more freedom with some of the details of the story and its characters. I loved having the area located close enough to Lake Geneva that April and Marc could go there for a meal at one of the actual restaurants there. I also gave them backgrounds that involve working on Geneva Lake as many college students do during the summer months. A: In one way or another I’ve always written almost since I could hold a pencil. When I was eight years old I asked for a diary for Christmas and I wrote in it at different times of my childhood. I still have that little book and it contains bits and pieces of my life from age eight until sometime in high school. Even into my adult years I’d journal from time to time, but never thought of turning that “need” to put words to paper into a career until years later. While completing my bachelor’s through an accelerated adult program, one of my professors suggested I could make a living writing. I published several magazine articles, but as the hankering to write stories grew stronger, I began taking fiction writing classes. At a local writer’s conference a multipublished author suggested I could turn one of my short stories into a novel. That was all I needed to hear. I soon joined American Christian Fiction Writers (ACFW) while the organization was in its infancy and through their writing courses and conferences I continued to grow in the craft. Q: Have you written other novels besides Thyme for Love? Oh yes. My first novel which I would classify as a women’s fiction languishes in my computer at the moment. Authors very seldom publish their first written work as that often turns out to be a practice project. The storyline still resonates with me and I’d love to one day pull it out and rework it. There are a couple other stories that will probably never see the light of day. 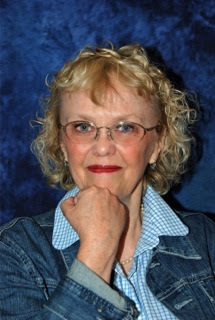 I’m very excited to have a novel set in my hometown of Lake Geneva, Love Finds You in Lake Geneva, Wisconsin, coming out in June 2012 from Summerside Press. It’s a 1933 historical romance, and I had a blast researching for the story. Q. 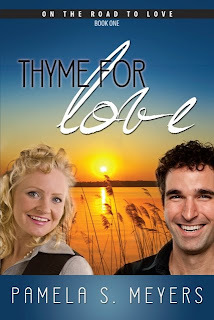 Do you have any plans for a sequel to Thyme for Love? A. I’m so glad you asked. Thyme for Love is part of a three-book series called “On the Road to Love.” Books 2 and 3 involved April and Marc, and both are set in Canoga Lake. In Book 2, Love Will Find a Way, April moves into an old Victorian home with plans to turn it into a restaurant and catering business. It isn’t long before a discovery made while they are renovating the home threatens to hijack plans for the grand opening. In Book three, Love’s Reward, April and Marc’s wedding plans are in full swing, until it becomes apparent there is someone who doesn’t want them to marry. Q. How do you get your story ideas? A. There’s an old adage to write what you know. I might add to that, to always keep your eyes and ears open for a possible story line. That first novel I wrote was sparked by something someone said to me when she showed me a picture of my great-grandfather’s grave. My Love Finds You in Lake Geneva, Wisconsin story grew out of wanting to know the history behind the beautiful lakeshore recreational building that has become an icon of the area. Just today a newspaper article sparked an idea I’d like to develop into a proposal. Q. What is your daily writing routine? A. My best writing time is morning, but I’ve had to make myself work outside the box at times when that kind of schedule doesn’t work. Since I am a morning person, I find it best to set my alarm as if I’m going to work. I get up at 5:30 and spend at least an hour in my Quiet Time with God. Then I try to walk daily for exercise before settling down in my home office to write. I recently converted unused space in my dining are into an office and that has helped tremendously with getting the sense of “going to work.” This helps me stay on task. Too many years actually working Monday through Friday probably contributes to that. On days I have an obligation away from home in the morning, I have had to force myself to be creative in the afternoon and early evening. I think as I start working on deadlines more and more that’s going to be essential. Q. What advice do you have for new authors? A. Persevere, persevere, and persevere. I started out aspiring to be published in novel writing more than ten years ago. I had the raw ability and desire to write, but that skill had to be trained and honed, much like a young colt has to be trained. I have learned that writers need to develop what we jokingly refer to as rhino skin and also we need a positive teachable attitude. Join critique groups, take writing courses, attend writing conferences where great teaching occurs and you’ll have opportunities to meet with industry professionals and pitch to editors and agents. ACFW has a great yearly conference ever September that is for fiction writers only. I cannot tout ACFW enough. It is a must organization to join for anyone who writes fiction from a Christian point of view. Q. When you aren’t writing, what fills your days? A. I volunteer at my church in the multicultural ministry, helping Japanese women learn to speak English and lead a women’s small group Bible study. I’m also chapter president of my local ACFW chapter which meets monthly. Also, I enjoy reading (surprise, surprise) and movies. Love to cook and find new ways of making things. You’ll find an adaptation of a recipe someone gave me called Chicken George at the back of Thyme for Love. I loved having April prepare it in the novel, and look forward to experimenting with more recipes for the sequels. Look for Thyme for Love on November 14, 2011 and have an enjoyable read! I wish Pam all the best with her book and with her continued writing. I'm reading an ARC copy of Pam's book and it is excellent! Food on every page, romance throughout, mystery spicing up the action. So excited for Pam! The book looks awesome! Great interview! See Pam's comment below. She's so excited, she responded to the old post. Woohoo! Excited for ya, Pam! Mmmm, food and mystery (which is way better than mysterious food LOL!). Sounds wonderful. Wishing you much success! What a fun interview, Linda! Pamela, I know what you mean about needing to feel like you're "going to work." I've moved back into my office, and I'm surprised at what a mental shift takes place! Reality Show to the Death!